Can you believe tomorrow is Friday? Didn't they just march out on Monday? The days pass slowly, but the weeks pass quickly. BCT ends a week from tomorrow. Looks like we have had a little bit of weather. It's that time of year. I never thought of Colorado in terms of a monsoon season, but that's what it is. Seems like every afternoon brings the thundershowers. Which reminds me, there have been some questions about what happens when there is lightning. The short answer is that if it is within 5 miles, the Basics are moved to shelters which are there for that reason. Day or night. 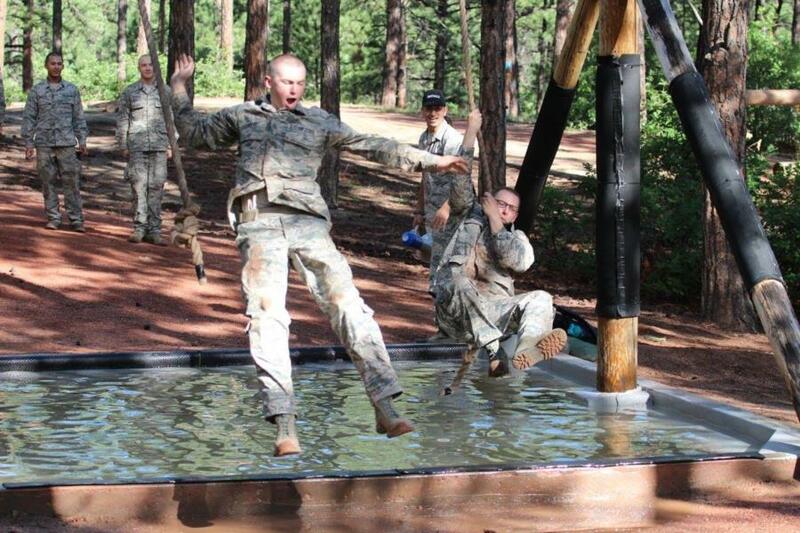 The Academy takes the Cadet's safety very seriously. No messing around when it comes to that. 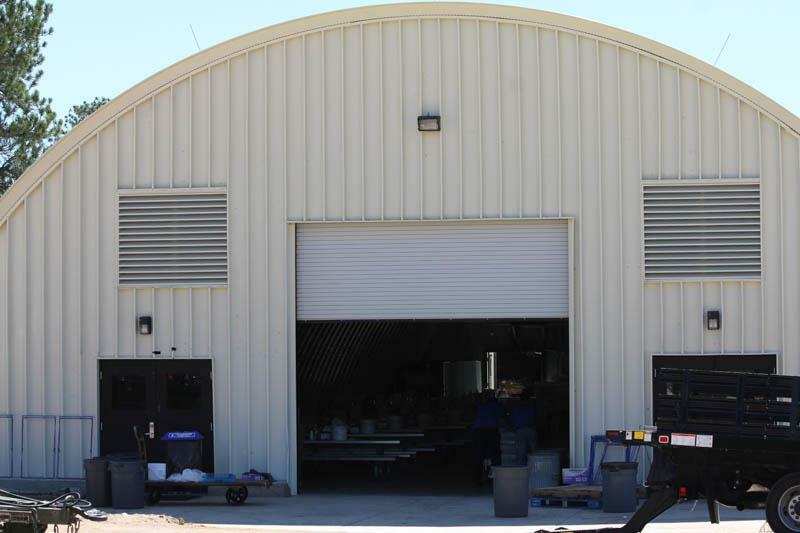 Below is one of the shelters (also known as Mitch's), but there are other permanent buildings all around Jacks Valley which can be used for that purpose. Another question that has come up before, but bears answering again is the orange arm bands. 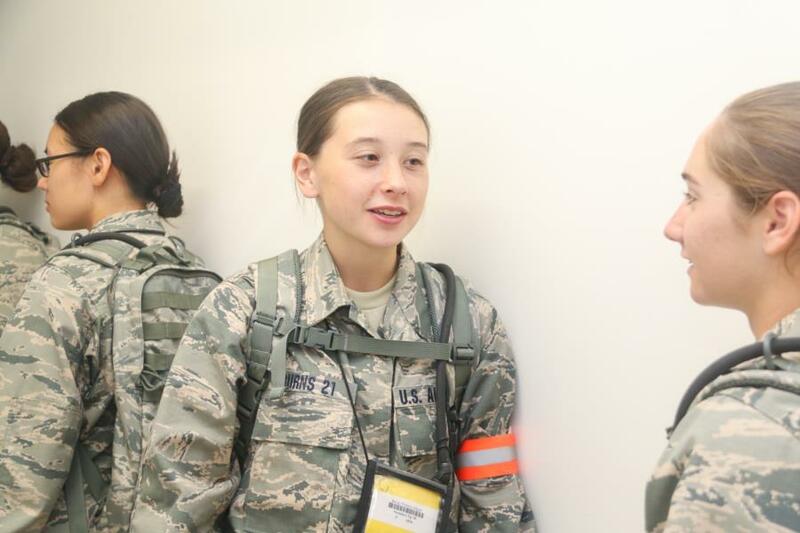 According to the BCT Cadet Wing, orange arm bands indicate that the person wearing one has some kind of limitation. The arm band alerts the cadre to this fact. The important thing for everyone to know is that having an arm band isn't something bad. It's a reminder for the cadre to check. 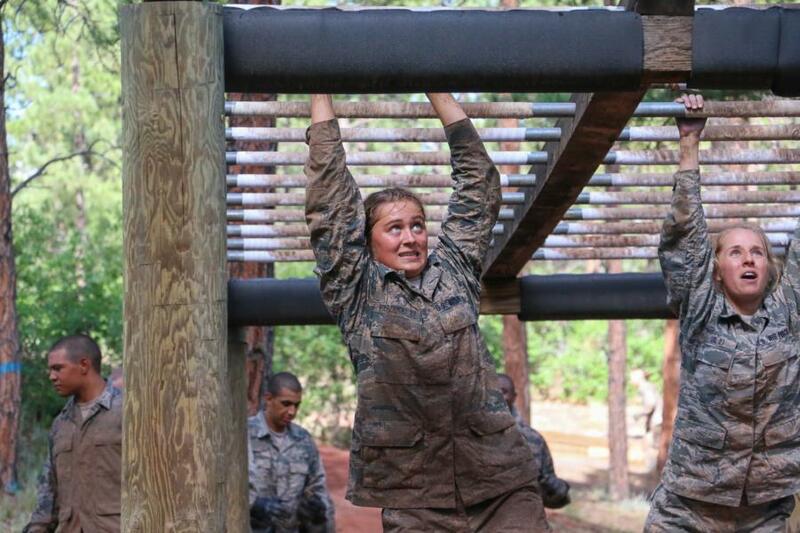 So, today's blog is about the Obstacle Course. As a reminder, this course is rated a 4 on the WebGuy Fun Scale! 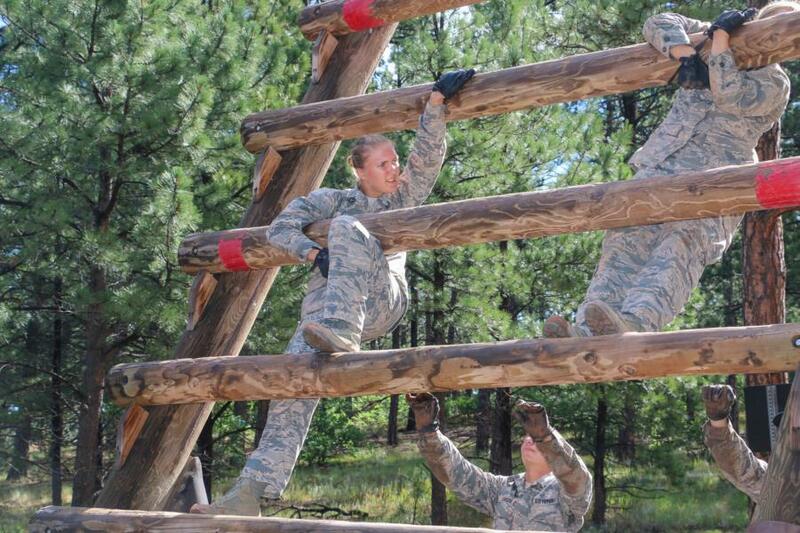 Before they begin the Obstacle Course, the Basics are walked through a series of stretches and warm-ups. 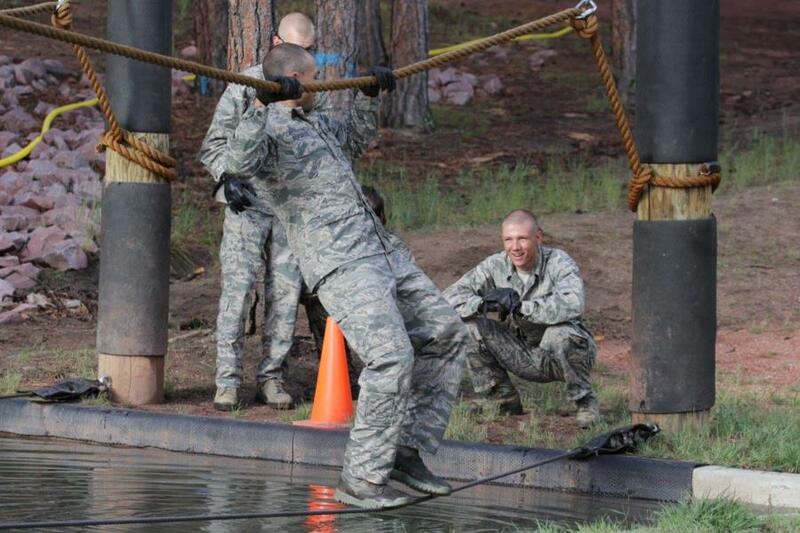 After they're finished, they run onto the course and start the obstacles. 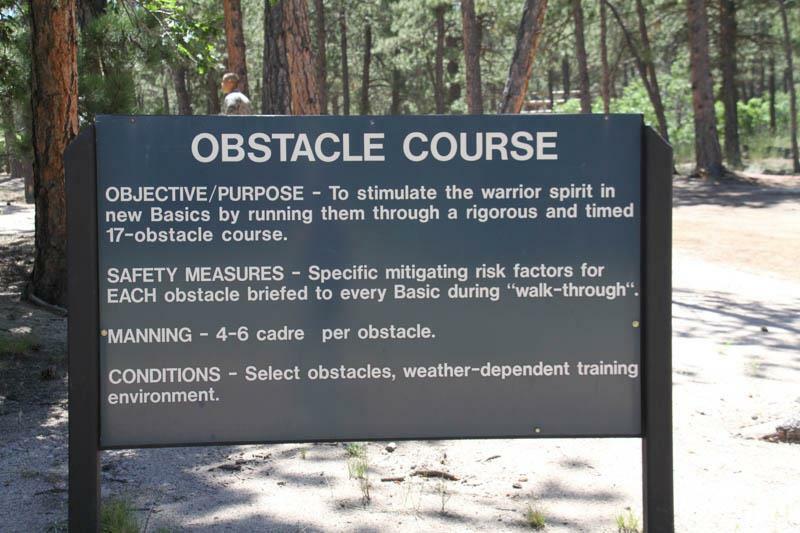 It is similar to the Assault Course in that they do still do exercises between obstacles, but it doesn't involve all the yelling and misery that you get on the A-Course. It is still very challenging, but you do see smiles as they run from obstacle to obstacle. Belw are samples of the obstacles. As I write this, there are already lots of today's photos up in the squadron galleries. Today we covered everyone but Executioners & Guts. Here's where they were. 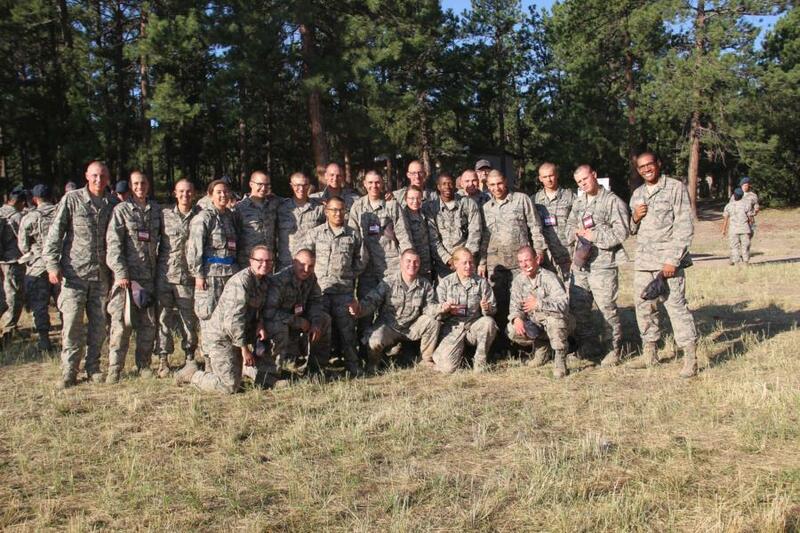 That's it for today, but here is a bonus courtesy of USAFA/PA! More tomorrow!